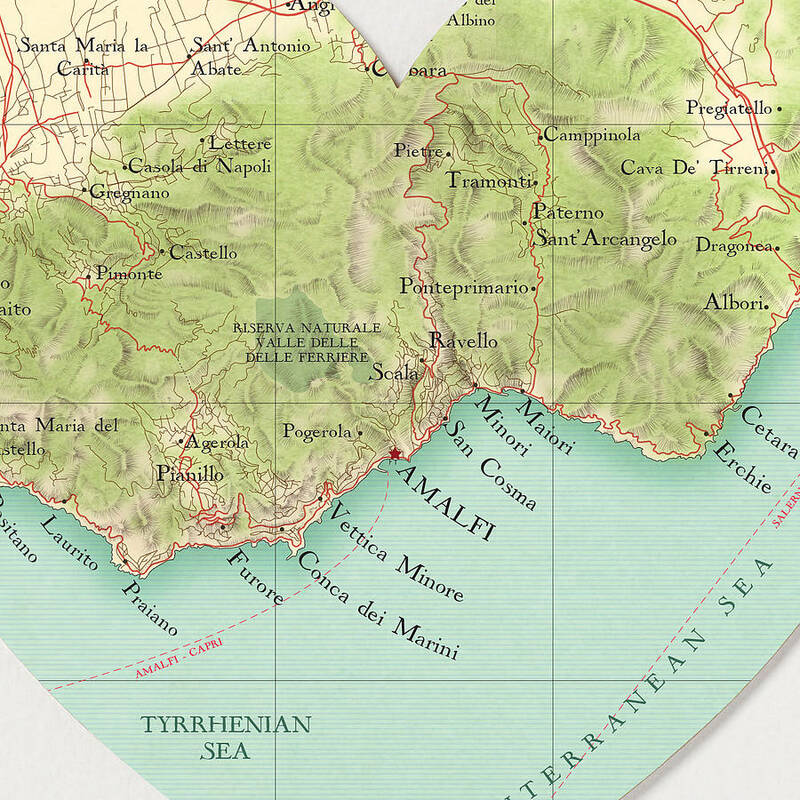 Framed and ready to hang, a vintage-inspired map print of Amalfi. 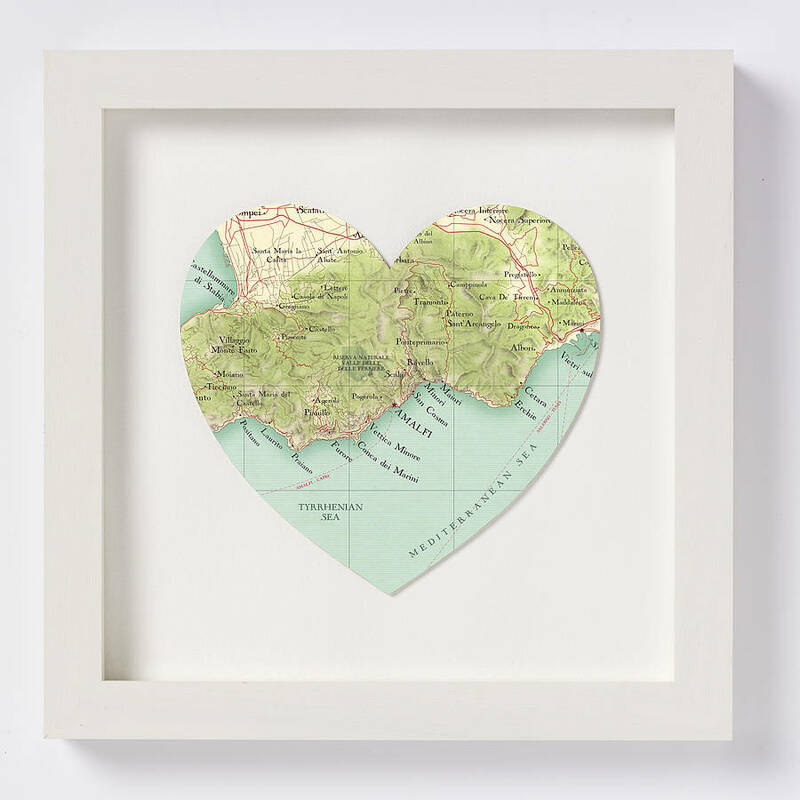 After the huge popularity of our signature product, the Bespoke Map Heart (where you can specify your own exact map location), we learnt oodles about your favourite travel destinations. So, we researched heaps of maps of every different style and age, did lots of sketching and painting and we are now very excited to present this beautiful collection of 'Off-the-Peg' destination map hearts. Each one is a high-quality print from an original illustration by our in-house team using a real mix of digital and traditional methods. Each print is glazed and cut into our signature heart shape then mounted so it floats above the textured watercolour paper mount. Blowing our own trumpet here but we do really good packaging and will wrap your purchase with some cute personal touches. Each piece comes beautifully gift-wrapped in tissue paper and strung with a blank gift tag. The piece is then bubbled and boxed. Would you like it personalised? 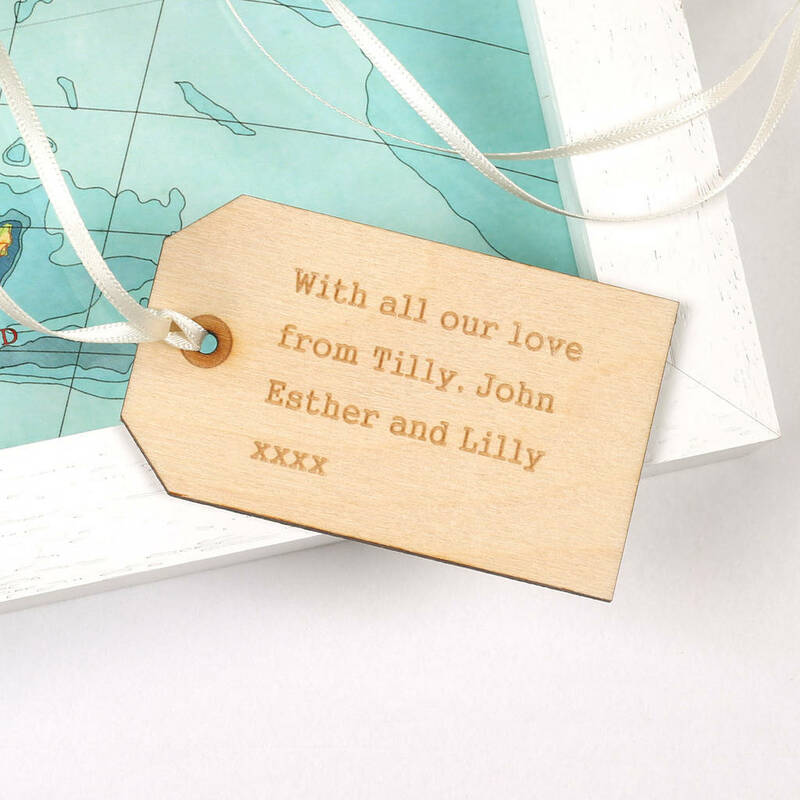 You can choose to have a wooden tag, engraved with your own message. Just select the option. 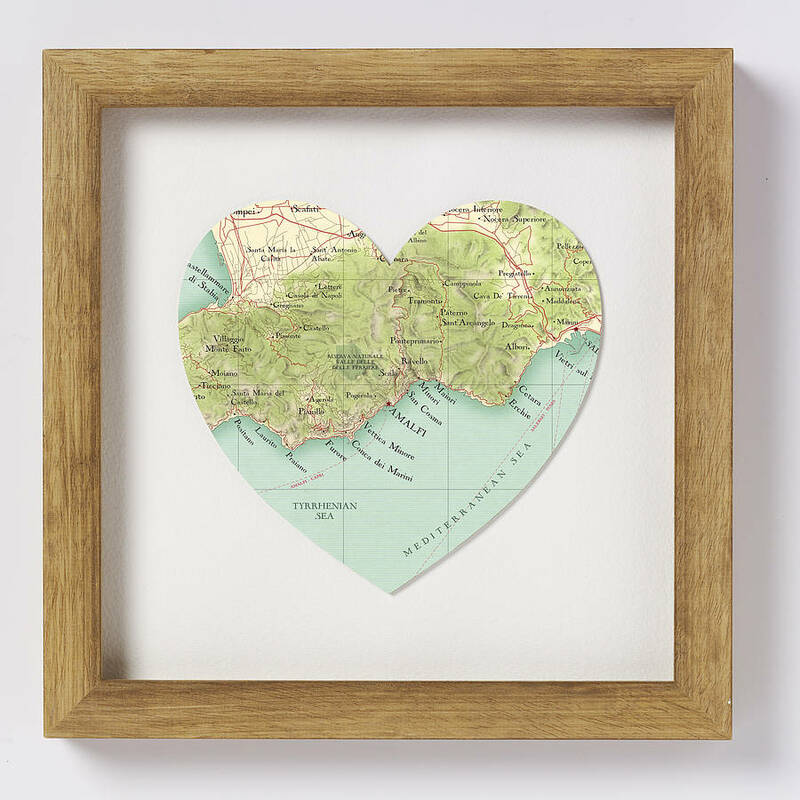 All our frames are handmade in the UK, from limed wood and UV perspex, which reduces fading. This product is dispatched to you by Bombus Off The Peg.